As I know how difficult it is to get this crime novel in Europe and America, I don´t think it is fair to call this a bait post. “The day it was ordained that Gabriella Knowes would die there were no harbingers, omens or owl´s calls. No tolling of bells. With the unquestioning courtesy of the well brought up, she invited death in. Uncanny, isn´t it? This book has been on my wish list forever, and I finally held it in my hand the other day. 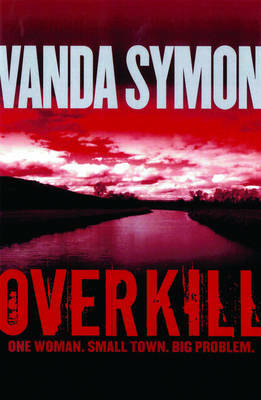 The quotation is from New Zealand writer Vanda Symon´s debut, Overkill (2007). I promise to review it soon, but I am a bit busy these days so I don´t know exactly when soon will be. Visit Vanda´s blog and all her temptations (including a most intriguing cake once in a while). This entry was posted in New Zealand, quotation, Vanda Symon. Bookmark the permalink.